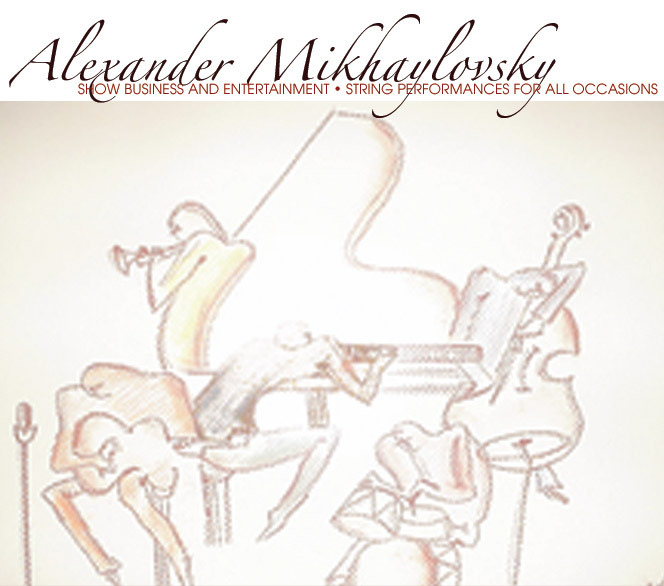 Alexander Mikhaylovsky was born in Odessa, Ukraine, (in the former Soviet Union). At the age of 4, he started to learn violin with his first violin professor, Bella Barsky. He graduated music school with the golden medal and went to the Odessa Music College. 4 years of solo, ensemble and orchestral competitions. Received a bachelors degree in music, then attended the University of Music and Pedagogy in Ulianovsk, Russia for five years, where he achieved a Master's Degree in Music in 1990. The Miami Symphony Orchestram Latin American Chamber Orchestra, Florida Grand Opera, the Miami Ballet. He has worked in the capacity of Orchestra Director with Miami-Dade Public Schools, Miami Beach Academy of Performing Arts, Florida Music Education Center and various private academies. The combination of extraordinary musical talent, great band leadership, professionalism, humor and business approach make Alex a great choice for any event. 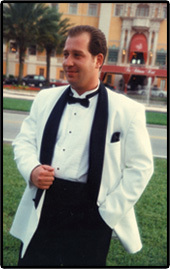 Over the years Alexander has established and assembled a network of great musicians, singers and entertainers, allowing him to provide the perfect musical accompanient for your occasion. Demo CDs and DVDs available on request.